Need Electric Repair in Independence, MO? Extreme Electrical Service LLC has handled countless issues of electric repair in Independence, helping homeowners and businesses remain safe and secure. No issues are too big or too small, and Extreme Electrical Service LLC knows how to handle Independence electrical problems with the necessary care and speed. 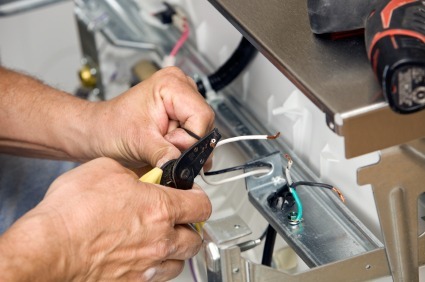 Established in 1997, the skilled staff at Extreme Electrical Service LLC have built a reputation for professional service. Fully versed in national, Missouri, and Independence electrical codes for homes and buildings, our licensed Independence electricians have the knowledge to diagnose problems fast, and get to work fixing any electric problem they come across. Faulty wiring, damaged outlets, broken appliances and electrical code repairs are all in a day's work for Extreme Electrical Service LLC's Independence electricians. Your electrical issues often need to be handled quickly. If a situation needs immediate attention, you need the local expertise of Extreme Electrical Service LLC to help out. Serving the region for years, Extreme Electrical Service LLC offers prompt service for any electrical problem in Independence, MO. From large scale Independence electrical issues to small, yet urgent, Independence electrical repairs, Extreme Electrical Service LLC can troubleshoot and repair your electrical problem quickly. Extreme Electrical Service LLC understands the value of reliable service, and works hard to maintain affordable prices. Our long list of Independence customers agree that Extreme Electrical Service LLC’s reasonable prices for Independence electrical repair work are well worth the qualified attention. Avoid the DIY electric repair and call the pros at Extreme Electrical Service LLC - it's well worth it! Electrical issues can be intimidating, but the staff at Extreme Electrical Service LLC are ready to help the residents of Independence stay safe and sound. Equipped to handle any electric repair in Independence, MO, Extreme Electrical Service LLC provides trained license Independence electricians and prompt, affordable service. Call (816) 548-1162 today to get that Independence electrical repair done.